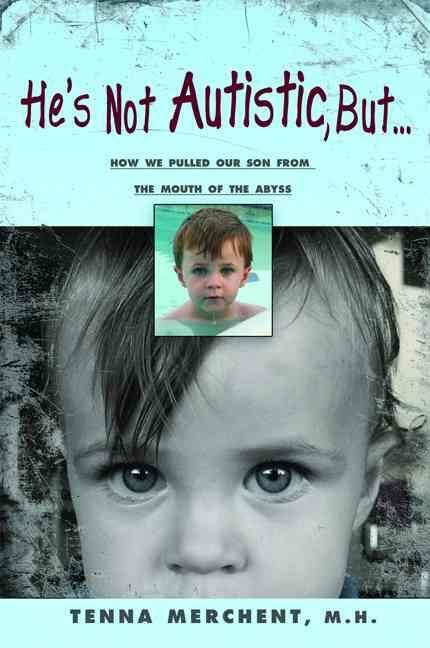 According to the U.S. Centers for Disease Control and Prevention, 1 in 166 children is born with autism. Tenna Merchent is only too familiar with this frightening statistic as she feared her own son might suffer from this devastating disorder. When her son was born, he seemed healthy. But by the time he was six weeks old, the infant cried for hours each evening if he wasn't constantly nursed. As the months went on, Clay frequently was seriously ill. By the time he was two years old, he could say only a few words, would bang his head for no apparent reason, often walked on his toes, was severely allergic to numerous things, constantly sick, and suffered from nose and chest congestion. He had systemic yeast, was terrified by sudden noises, wouldn't sleep for more than two hours straight, and was unhappy most of the time. All of his symptoms pointed to the possibility of autism. And to make matters worse, Merchent herself became seriously ill. This book is the moving story of Merchent's remarkable persistence and relentless search for answers and the cure for her son's illness. The book describes her journey through traditional medicine, then the move to alternative care. The miracles begin when she discovers a master herbalist (Solomon Wickey) who reveals to her the primary cause of their ill health: aluminum. The simplicity of fully curing both herself and her son is astounding, and she illustrates the art of releasing in detail here. Also included is an invaluable list of remedies for common ailments using Pure herbs Ltd & NSP, as well as a section on resources for herbs and homeopathies. Also includes a 15 day candida diet.